Prizes have been presented in the annual Bristol NUJ Student Journalism Awards to students at the University of the West of England, with the judge praising the high standard of the entries. 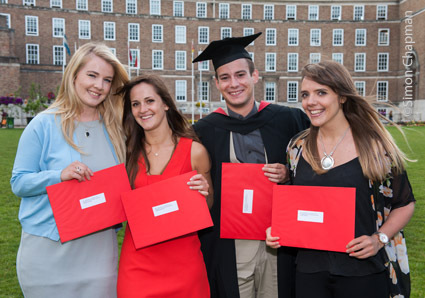 One prize is awarded in each year group for journalism students at UWE, from first-year undergraduates to MA level. This year the judges – the executive committee members who run Bristol NUJ – said the quality of the entries is getting noticeably higher, with the layout and presentation of the entries particularly praised. Winner in Level One (first year) was Jade Evans for her print news layout. In L2 the prize was taken by Naomi Sandercock & Rhiannon Thomas for their short film, while in L3 Boris Siromahov won for his ambitious, largely self-funded film looking at access to clean water in Uganda. Boris’s trip to Uganda was supported by the charity International Water Security Network, which is based at UWE in Frenchay. The MA winner was Rachel Dinning for her film and a print feature on transgender issues. 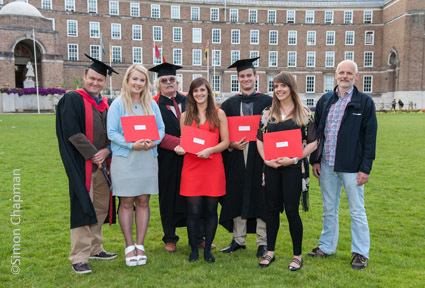 The prizes were presented to most of the winners on College Green, Bristol, after the UWE graduation event in Bristol Cathedral.